Student loans—federal and private—can only get you so far, as many students find out when they enter college. If, like most undergrads, you’re defined as a “dependent student,” you’re entitled to borrow up to $5,500 in federal student loans (also known as Stafford Loans) in your freshman year, $6,500 in your sophomore year, and $7,500 in both your junior and senior years. In 2018-19, the federal government set the interest rate for subsidized and unsubsidized Stafford loans at 5.05%. Last year, the average cost per year for a 4-year degree reached $26,593, and the average cost per year at private institutions reached $41,468, according to the National Center for Education Statistics. These costs reflect only the price of tuition, fees, room, and board. Even if you manage to get through your entire studies on a diet of ramen and pizza, the annual cost of studying for a degree usually amounts to far more than what the statistics tell us. Some students are turning to personal loans as a solution. If you’re a student—especially an undergrad—a personal loan shouldn’t be your first option. Most lenders only offer personal loans to people with credit scores of at least 580-640, and the lowest rates (4.99% to 6.99%) are reserved for people with an excellent rating in the range of 720-850. Most undergrads suffer from poor credit, due to a lack of credit history. With that said, if you do meet at least the minimum credit requirements, a personal loan enables quick access to funds without having to fill in too much paperwork or offer up any assets as collateral. And the good news: some lenders offer personal loans that are suitable for students—with lower credit requirements, small loan amounts, and no prepayment penalties. Let's take a look at what some of the best personal loans for students can offer. Upgrade offers personal loans to residents of all states except Connecticut, Colorado, Iowa, Massachusetts, Maryland, Vermont, and West Virginia. All loans have a 1% to 6% origination fee which gets deducted from the loan when it’s issued. There are no prepayment penalties. In addition, Upgrade’s free credit-monitoring tool lets you access your credit score at any time, simulate how different actions may impact your credit, and shows how past actions have changed your credit score. The tool is particularly useful for students with little or no credit history, as it allows you to see how your financial activity impacts your credit score from the very beginning. Read the full Upgrade review. LendingPoint was established in 2014 to provide flexible, short-term funding to borrowers with fair credit scores and a responsible financial history. This makes it a solid option for students, many of whom don’t have enough of a credit history to qualify for other lenders. It promises to fund borrowers within 1 business day of approval, making it a suitable option for students looking to cover a financial emergency. Not surprisingly, given its mission to help low-credit borrowers, it only offers double-digit APRs. Origination fees are 0%-6%, depending on your state and loan amount. There are no prepayment penalties. Read the full LendingPoint review. Eloan is an online lending house that provides small to medium-sized personal loans for people with all types of financial histories. The online application process is quick and easy, there is no origination fee, and you should be able to get the money into your account as quickly as the next business day. Eloan gives you a lot of flexibility for your loan, which can be repaid over anywhere between 18-60 months, with APRs beginning as low as 5.49%. The company also won’t deny you solely based on a mediocre credit score, and takes a wider view of your financial viability, looking at your job history, debt-to-income ratio, and more. Read the full Eloan Review. LendingTree is an online marketplace that lets borrowers compare the best loans and lenders for personal loans and other types of loans. Through its large network of partnering lenders, it lets borrowers see and pre-qualify for multiple personal loans with just one online form. It has a broad reach, making it an appealing option for borrowers with worse-than-average credit—a group that most students, due to a lack of credit history, are a part of. Top feature: P2P lending platform where investors lend money directly to borrowers. LendingClub is an online peer-to-peer (P2P) lending marketplace that connects borrowers directly with investors. By cutting traditional lending institutions out of the picture, Lending Club lowers the cost of doing business, helping borrowers get lower rates and investors earn risk-adjusted returns. The entire process takes place online, making it a suitable option for younger borrowers who aren’t afraid to apply for and get approved for a loan without meeting anyone face to face. When you ask for a quote, LendingClub uses only a soft credit inquiry that doesn’t affect your credit score. The only fee is a one-off origination fee of 1%-6% that gets deducted from your loan when it’s issued. Some banks and lenders offer private student loans. These can be good options for students who have borrowed the maximum permissible amounts on federal student loans and have good credit or can bring a co-signer who has good credit. Private student loans generally offer lower rates than personal loans and can be applied to non-tuition costs such as meals, textbooks, and transportation. Working part-time is common among college students, but it comes at a cost. The more hours you put into a part-time job, the fewer hours left over to study or take full advantage of the college experience. Not all schools and degrees offer the same opportunities for part-time work, either. If you’re studying in the city, your employment prospects should be higher than if you’re studying at an isolated campus (although your living costs will probably be higher too). And some degrees demand more of students’ time than others. If you’re really tight for money, you could apply for financial aid, a grant, or a scholarship. 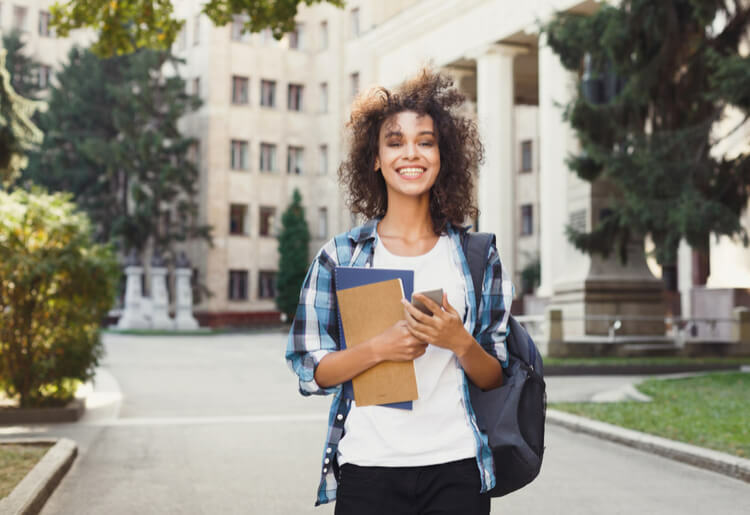 Many schools offer Perkins loans—low-interest loans for students demonstrating exceptional financial need—where the school is the lender and the federal government guarantees the loan. And many offer things like short-term emergency loans and grants for students with an urgent financial need. Whether you’re using a personal loan to cover the costs of student life or to fund any other major expense, the same golden rule applies: always compare lenders. Some lenders offer lower APRs, some cater to lower-credit borrowers, some promise quick funding, and some promise all the above. By comparing reviews of multiple lenders, you can find one that offers a personal loan to suit your needs.